If you’ve ever been on a film set, or watched a behind-the-scenes documentary, you might have seen crew wearing T-shirts, jackets and other memorabilia from different productions. 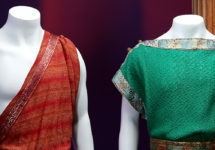 Clothing is a common gift for the cast and crew, often used as a present when a film or TV season wraps so they can remember the time they spent working together. 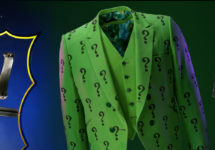 Lurking within Prop Store’s archives is a variety of these items from all sorts of films, so if you love a movie and you want something unique, take a look at just a few of the pieces we have on offer. Christmas is rapidly approaching, and naturally our thoughts turn to gifts. If you’re the type who loves movie items and are looking for some cool movie items to give as gifts, or even suggest a few that Santa (or a kind friend) could bring for you this festive season, we have a few suggestions from the Prop Store’s collection.